I am a huge fan of watching foreign movies and TV shows on Netflix, I really enjoy learning about other cultures especially seeing how people live their day-to-day in other countries. I think that is the beauty of traveling! What brings me to today’s subject by taking us to South Korea and its architecture (P.S. I would definitely love to travel there!). I stumbled across this design by studio_suspicion of what they called: the Fighting House. It is such an unusual approach but I love the reasoning behind this design. 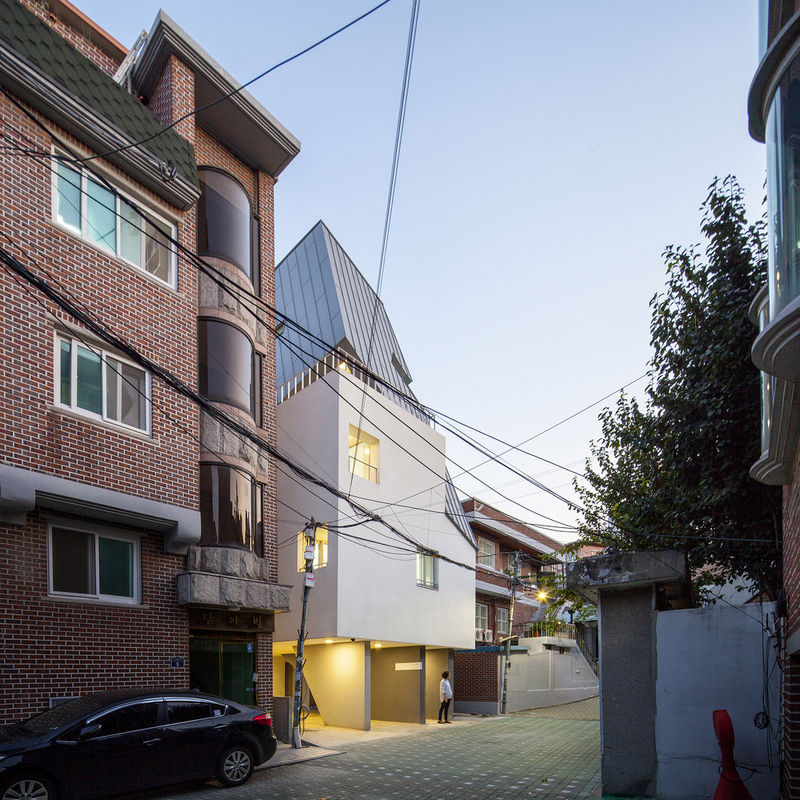 Located in Sageun-dong in Seoul, a reminiscence area surrounded by a history. This coming forward with a space with a maximize the floor area ratio that would include the building owner, client’s unit, eight rental units and alongside with a functional elevator. This is a true mixture of contemporary residential environment, what do you think?